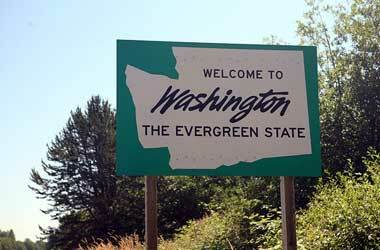 The Evergreen State gained infamy in 2006 when it declared online poker and casino gaming a felony. Based on this fact many think that Washington has the strictest gambling laws. Yet on the other side, the state still offers several legal gaming options including social gaming, charitable gaming, tribal casinos, lotteries and horse racing. The biggest source of revenue from gaming in Washington comes from the state lottery, which generates on average more than $700 million per annum. After administration and prizes paid, an approximate amount of $175 million is available for funding of a variety of state programs. Tax revenue generated by regulated cardroom is around $250 million per annum of which $25 million goes toward taxes. In Washington all gambling activities are Washington State Gambling Commission regulated, age requirements are an interesting topic since the state has not set a gambling age, at current the age restriction depends on the casino therefore at some tribal casinos it is 18 while others allow gambling at 21 years of age. Currently, there are no commercial casinos, although residents have access to 28 tribal casinos. State lotteries and gambling in many states are controversial topics even though both prove a revenue without the need to raise any consumer taxes. The state-operated lottery is in place to fund education, while casinos on tribal land, are Indian Gaming Regulatory Act regulated. Washington aims punishments at unlicensed forms of bookmaking and gaming. These include offering gambling options without a license or greyhound racing, both a B felony punishable by a fine of $10,000 or up to 5 years in prison. Working for an illegal gambling operation is a misdemeanour punishable by a fine of $1,000 or a year in the county jail. Looking back at the gambling history of Washington laws might give a better overview of why the laws are so strict. It all started back in 1889 when all gambling activities got banned by the state government to try and curb problem gambling. The ban on horse racing followed a few years later in 1909, and in 1933 the state decided to allow pari-mutuel betting. The government finally approved of slot machines used by charity organisations in 1937, although the Supreme Court banned the use of slots in 1952. In 1963, voters rejected the idea of giving cities the right to offer charity gaming. In 1971 over 50 officials and police officers accepted gambling brides, all arrested, although it is also the year in which raffles and bingo got their approved from the state. Greyhound racing was voter rejected in 1972, in 1976 the Puyallup tribe opened the first casino in Washington, ordered to close two years later in 1978 by the federal government. Voters approved the state lottery in 1982. The Indian Gaming Regularity Act passed in 1988 and in 1991 the Lummi tribe opened the first state-authorised casino. In 2006, Washington banned online poker, in 2008 up to 2010 several changes followed for limits in poker cardrooms. Only in 2012, due to voter demand, the thresholds for Texas Hold’Em increased to $100 from $40. From 2015 to 2016 several bills failed to legalise online poker, and by looking at the number of changes, Washington changes its gaming laws constantly. The gambling laws in Washington allow only casinos built on Indian reservations, while games and horse racing used to raise funds for charitable organisations are legal. Since 1973, gambling in the workplace is legal, even though the rules are strict and allows for one sports pool board in specific events. Sports pool boards divided into 100 squares, each worth $1 so it is worth a maximum of $100. Such pools must close prior to events, and each square must be purchaser signed. Washingtonians that are of legal age can enjoy a variety of table games and slots at tribal casinos, the total number of slots available in the state is more than 33,300 and over 1,155 table games. The largest casino is the Auburn’s Muckleshoot featuring more than 75 table games and over 3,100 slot machines. The second largest casino is the Ilani, offering 20 table games and 2,500 slots. Apart from tribal casinos, the gambling scene in Washington consists of tiny poker rooms, mini casinos and bingo parlours, each offering around 15 tables, which includes Pai Gow poker, Caribbean Stud poker, blackjack and baccarat. Washington stretches over 71,299 square miles and is situated in the far north-western corner of the U.S., while its population is 7.53 million, which means enjoying tribal casino gaming for most includes long travelling time, travelling costs which basically limits any gambling activity to holidays or long-weekends. Due to limited gaming options, the cost of travelling and the fact that citizens are not always living near tribal casinos, online casino gaming are the most convenient option. After the 2006 state law amendment the Washington law forbids online gaming and if caught engaging in gambling activities on an internet casino site the charges for a class C felony is a fine of $10,000 or imprisonment of 5 years. On the other hand, no one has ever been prosecuted by the state for playing online poker or casino games, but due to the current law, there are a limited number of online casinos catering for punters residing in Washington. Should Washingtonians wish to join an online operator, their best chance of enjoying a pleasant experience that includes fair gaming in a safe at a trustworthy establishment, is by joining a regulated and licensed casino with a good reputation. Licensing authorities known for their high standards and strict rules include the UK Gambling Commission, Government of Curacao, and the Malta Gaming Association. Online casinos offer players one of the most diverse ways to increase their bankrolls and prolong play. Different types of bonuses available at online casinos include free spins, no deposit bonuses, welcome bonuses, monthly reload bonuses, high roller and VIP bonuses. The most generous of all is the welcome bonuses that instantly double, triples or quadruples a new member’s initial deposit, to ensure a great gaming experience with sufficient funds to explore the gaming variety. Betting options are as low or high as players can wish for, and popular games such as slots allow minimum bets from as little as $0.01 per payline. Table and card game betting starts from around $1.00 up to a maximum of $2000 or more, which is perfect for high rollers. Online casinos process transactions in a variety of currencies, which hugely limits the cost of conversion rates. Deposit and withdrawal options include all major debit and credit cards such as Visa, Maestro and MasterCard, while e-wallet includes PayPal, Ecocard, Neteller and Skrill. Due to banks in most countries being restricted from processing online casino payments, many operators are now cryptocurrency friendly. How long it takes to receive winnings depends mostly on the method selected by the member, credit/debit cards can take up to 3 business days, e-wallets anything from a couple of hours to as much as a few days and cryptocurrencies offer payouts within a couple of hours or instantly.